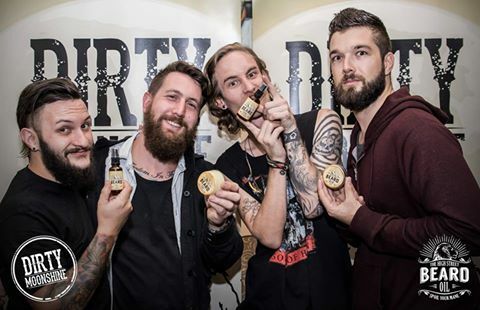 After an unexpected meeting and passionate discussion over beards and all things manly, we are proud to announce that we now sponsor the strapping rock and roll lads from Dirty Moonshine. The High Street Beard Oil will be tending to these moonshiners beards with our full range of products and look forward to the future with this new endeavour. Hear, hear to strong, healthy and mighty fine looking beards.